Karunya University (formerly Karunya Institute of Technology and Sciences, KITS) ,2016 Admissions started.Karunya University is a fully residential, Christian University located in Coimbatore, India. It was founded as a Christian minority institution by the late D. G. S. Dhinakaran, his son Paul Dhinakaran, Christian evangelists and the founders of Jesus Calls Ministries, India. This deemed university has been accredited byNAAC with a ‘B’ grade.In 1981, D.G.S. Dhinakaran embarked on the path to start a technical university. 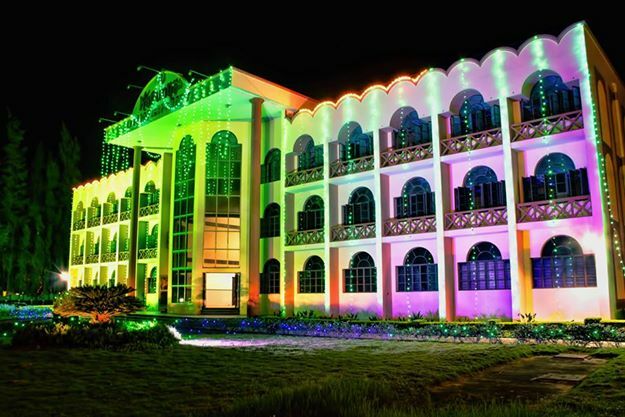 The institute was inaugurated on 4 October 1986 as Karunya Institute of Technology. 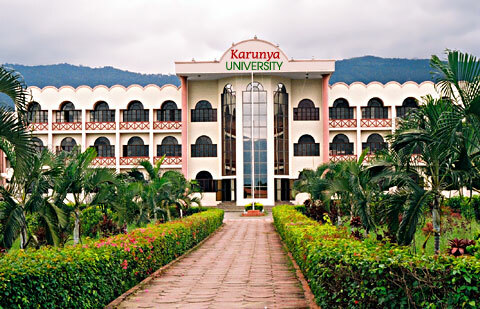 In 2004, the institute was awarded deemed university status in recognition of its academic excellence by the Ministry of Human Resources Development, government of India and subsequently renamed as Karunya University. UG Courses:- Bachelor of Technology, Mechanical Engineering, Information Technology, Food Processing & Engineering, Electronics & Media Technology, Electronics & Instrumentation Engineering, Electronics & Communication Engineering, Electrical & Electronics Engineering, Computer Science & Engineering, Civil Engineering, Biotechnology, Bioinformatics, Aerospace Engineering. PG Courses:- Master of Technology, Renewable Energy Technologies, VLSI Design, Structural Engineering, Software Engineering, Power Electronics & Drives, Network & Internet Engineering, Nanotechnology, Multimedia Technology, Mechanical Engineering (with specialization in), Food Processing Engineering, Embedded Systems, Control & Instrumentation Engineering, Computer Science & Engineering, Communication Systems, Computer & Communications, Biotechnology, Biomedical Instrumentation, Bioinformatics, Biochemical Engineering, Applied Electronics. Master of Science, Physics, News Media, Networking Technology, Medical Biochemistry, Mathematics, Chemistry. Master of Business Administration (with specialization in), Event & Media Management, Logistics & Shipping Management, International Business & Operations, Marketing, Finance, Human Resource. Contact Details: Karunya University Address: Karunya nagar, Coimbatore,Tamil Nadu-641114.